Can there be a narrative that speaks to this process of radical newness? If so, what would such a performance look like? What would its mythology be, and what objects would it leave behind? Who are these abyssal explorers, wandering the boarders of evental sites? Can we trace their paths of fidelity? Let us say evental space borders the situation from within, and the void is the situated lack of the subject – its hole, the intrusion of the unspeakable Real. Suddenly we find lack itself void. The binary of desire/drive shatters from this force of fidelity, its fissures producing events, exploding outward from all points. The subject itself becomes newness. The subject’s wandering, space travel. Let us be astronauts, then; let us ascend newness. 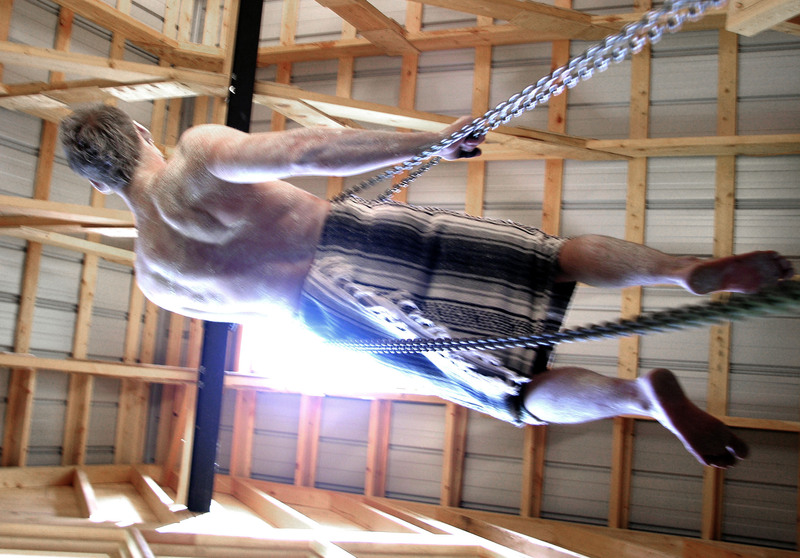 Wearing a harness and an afghan, covered head to toe with white kaolin clay, I ascended a three-story barn in Ontario, Canada via an industrial hoist. 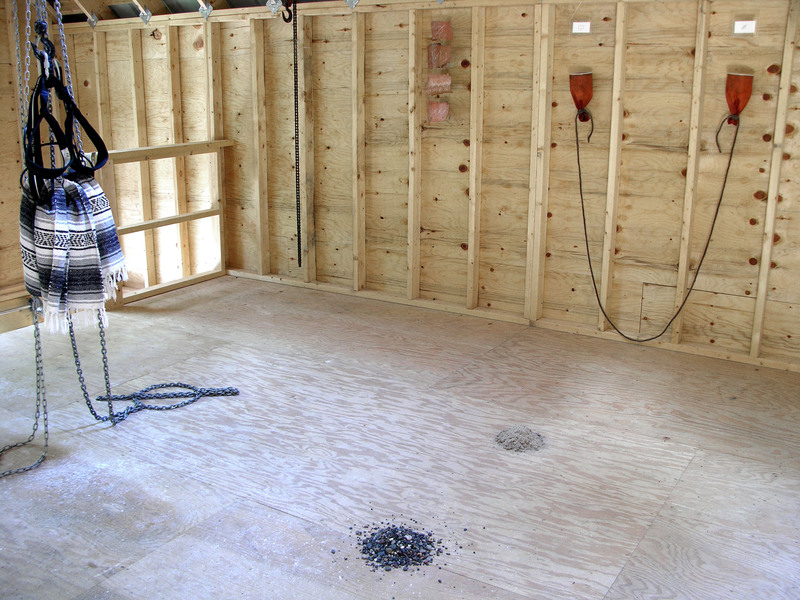 After the performance I constructed a site-specific installation. 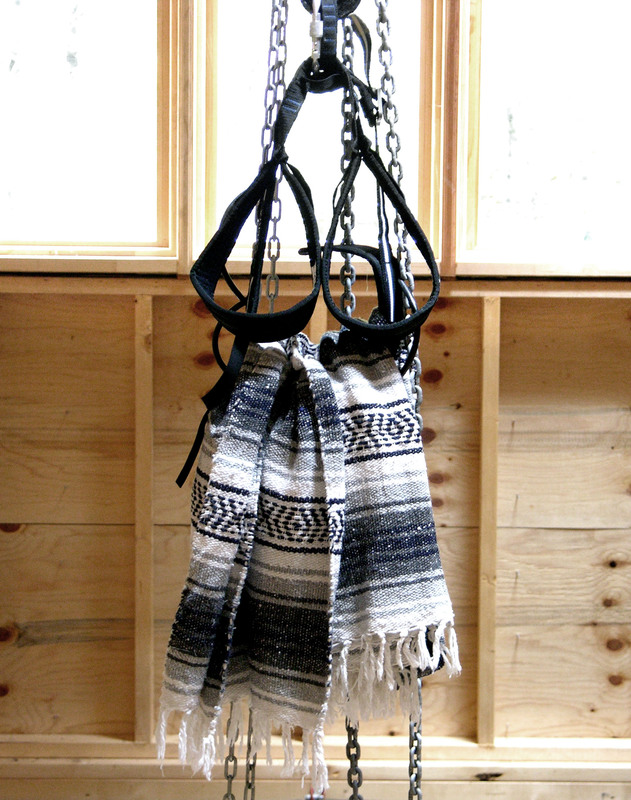 The harness and the afghan are suspended from the hoist, and its chains are arranged into mathemes. 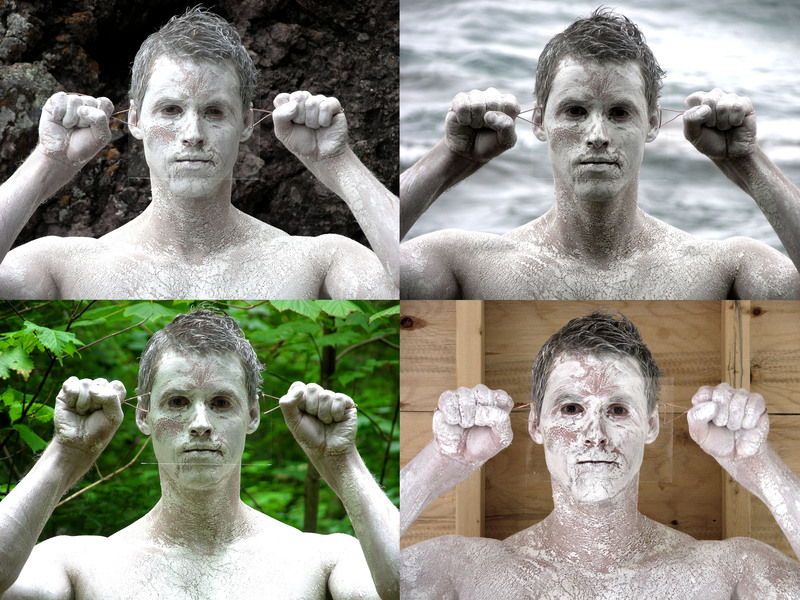 This character, the astronaut, was then photographed in four locations across Canada. The astronaut’s helmet is a sheet of glass suspended between the astronaut’s hands via copper wire handles. 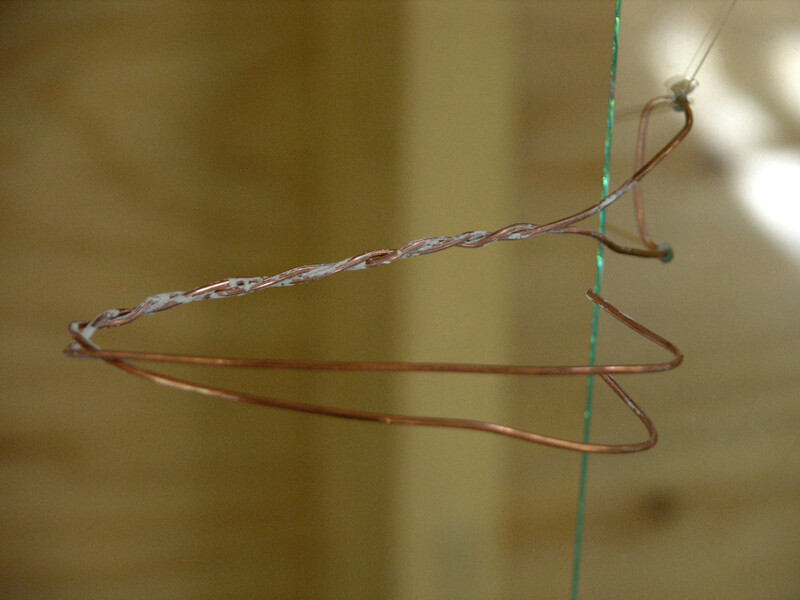 Clay caked onto the twisted copper. 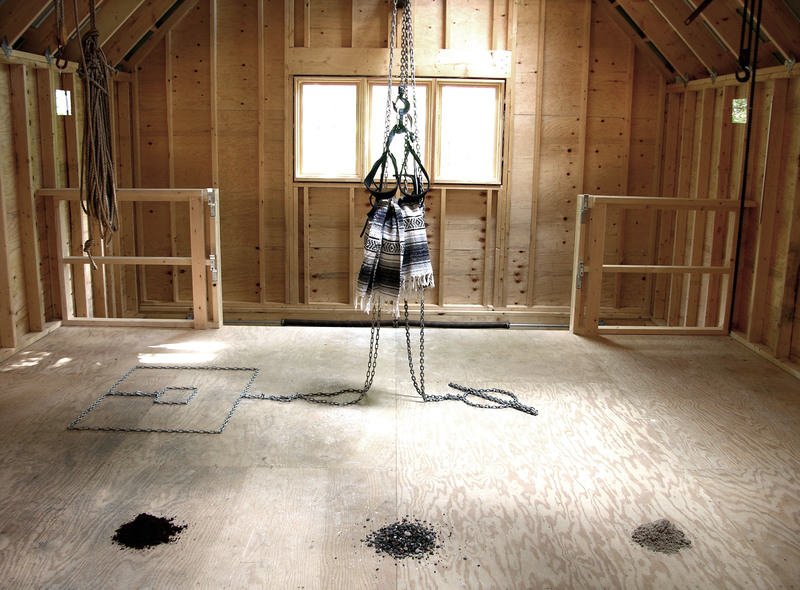 The helmet is hung from a “come-along,” a bicycle chain-like hoist. 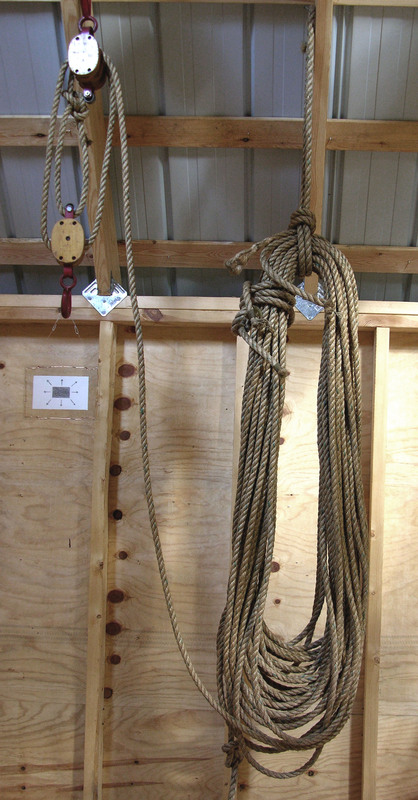 Across the room from the helmet is a hemp-rope pulley. 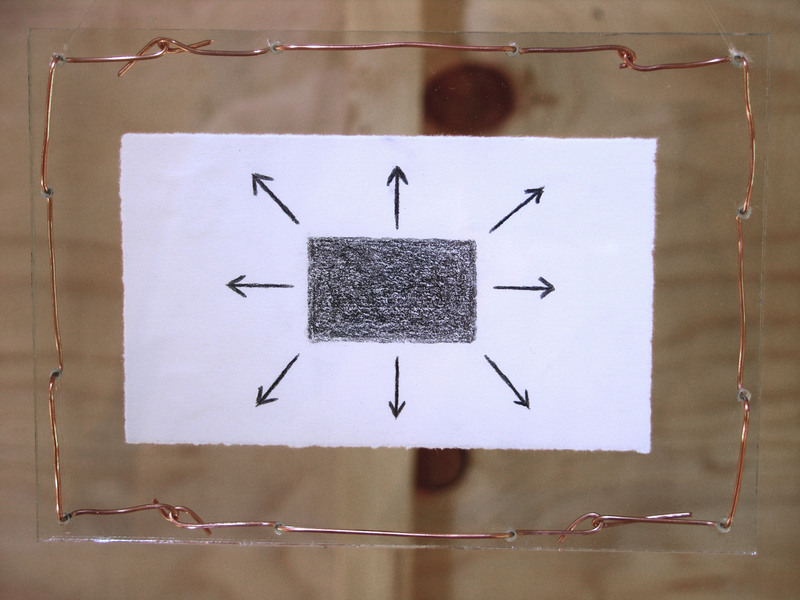 Hanging from the pulley hook is a graphite-on-paper drawing mounted between two sheets of glass, bound by copper threading. Two more graphite on paper drawings, also mounted between glass via copper wire, were placed inside water-proof sailing pouches. One is a drawing of the void symbol, the other is the matheme for the object petit a. 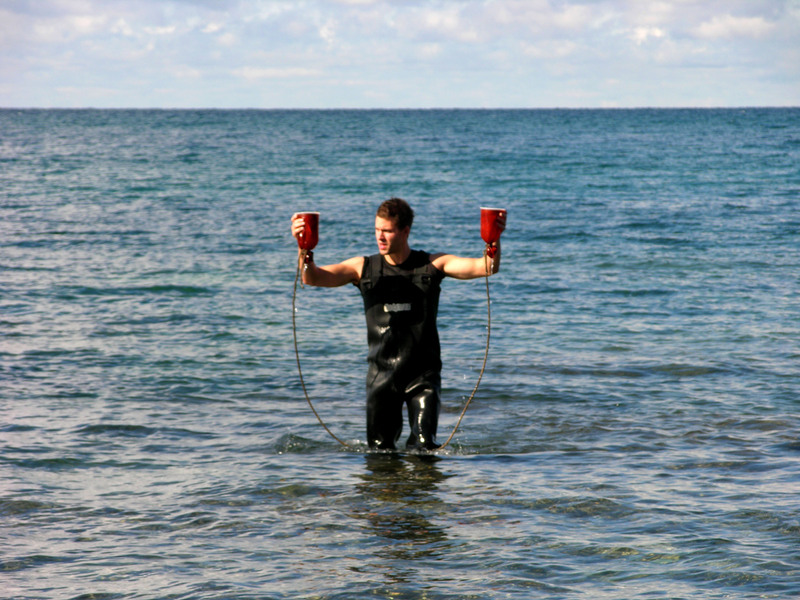 These pouches were connected by hemp rope and tied to an iron ball beneath Lake Superior. 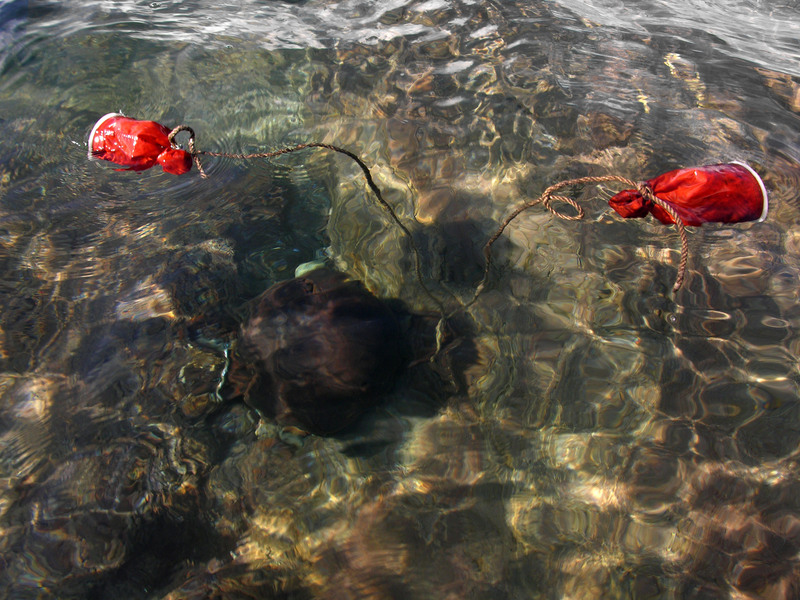 The drawings were removed from the pouches and hung above the mounted buoy. 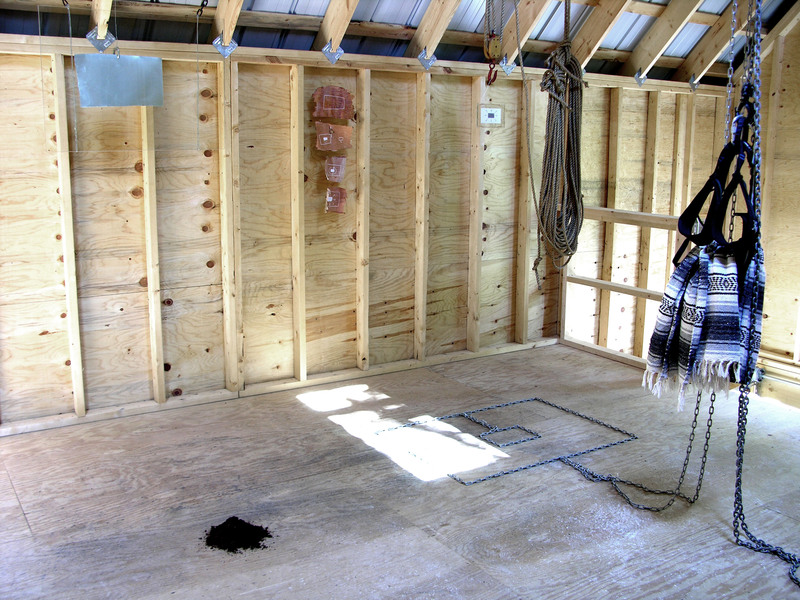 The final show consists of the material remains of the ascent performance (white clay on the floor, a painting on birch bark affixed to the iron I-beam) and the installation ascent in the center of the space. 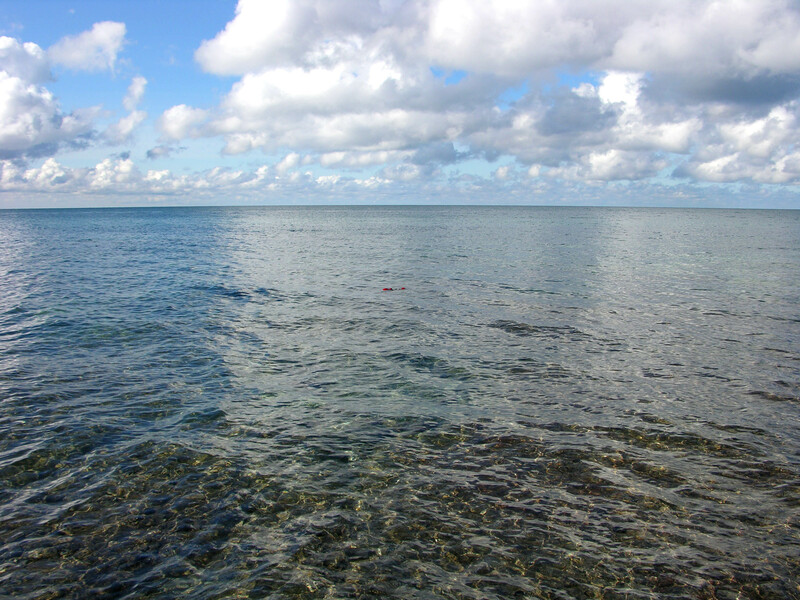 intrusions 1 – 3 are three mounds of earth, rock and sand respectively, which lie just in front of ascent. 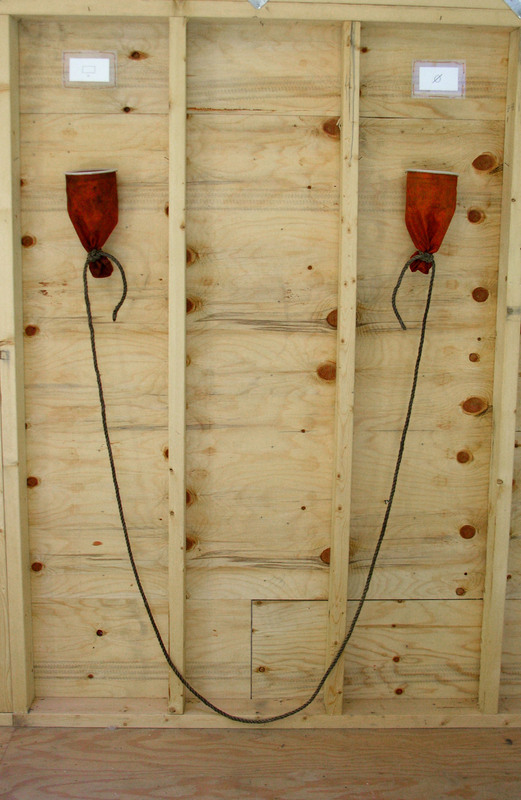 On the left wall hangs hoist (helmet), mathemes on birch (origin of the count) a series of white charcoal drawings on birch bark, and buoy. 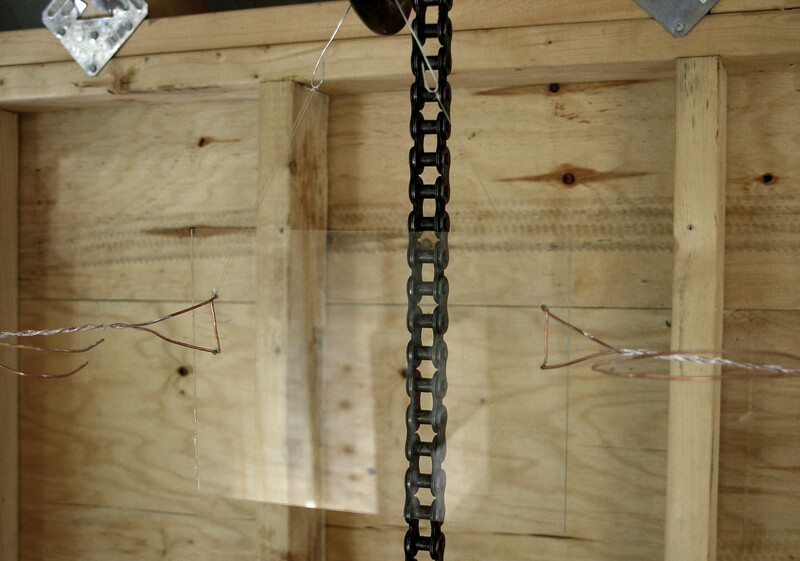 On the right wall hangs hoist (outward movement), mathemes on birch (lack), and mirror, which is a sheet of glass suspended by wire and chain in front of a sheet of aluminum.